If you’ve never visited Milton Keynes, it’s a very unique city which is slowly but surely (in fact not slowly at all: the rate of expansion is dizzying) swallowing up surrounding villages. Over the years this has resulted in the city having strange little pockets of village life, surrounded by dual carriageways and the site of central high-rise architecture on the horizon. Bow Brickhill is a little village teetering on the edge of the city boarder which will no doubt be swallowed up in a few years. Epic Pubs, seemingly in preparation for this have refurbished The Wheatsheaf, which I’d never visited before now but am told it was a stereotypical ‘old man pub’. But now it has been given it a very slick makeover worthy of inviting a fresh audience. 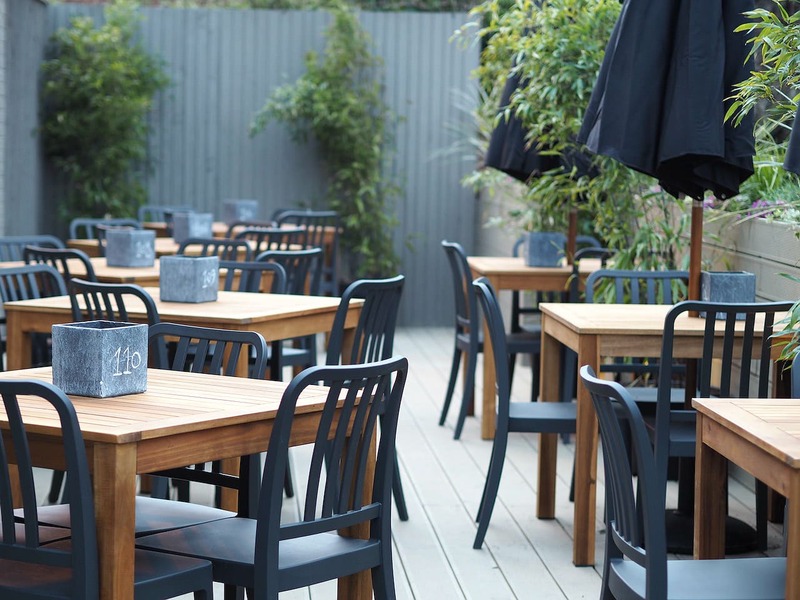 Stepping inside was almost like stepping into Hoxton: the decor is bold and trendy and youthful. 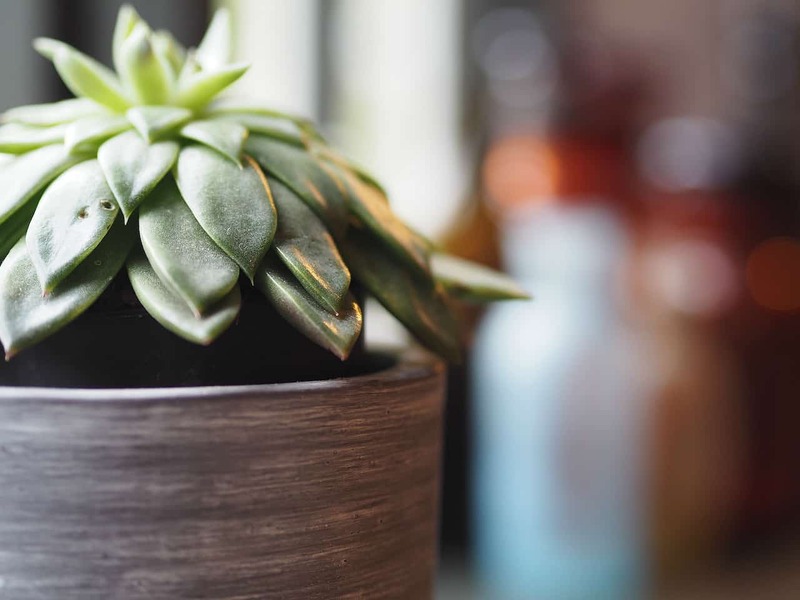 There’s succulents on the tables and boxes of foliage on the walls. Beautiful shiny tiles and pressed metal cutlery. I was told by a member of staff that the regulars who had propped up the bar in it’s previous guise did not approve of the change. But as a *somewhat* trendy and *somewhat* young individual, I certainly did! The menu is pretty short and simple and plays heavily towards the steaks and catch of the day. Above the kitchen pass sits a board of freshly chalked up specials, again very fish based. Q had ordered a ribeye for his main so kept the starter small with a portion of crackling pig bites accompanied by smoked apple sauce (ooft). A very pleasing little nibble; they’d be lovely out on that new deck on a sunny day with a nice, crisp drink. I chose the potted duck because I’ve never actually had duck in potted form before! 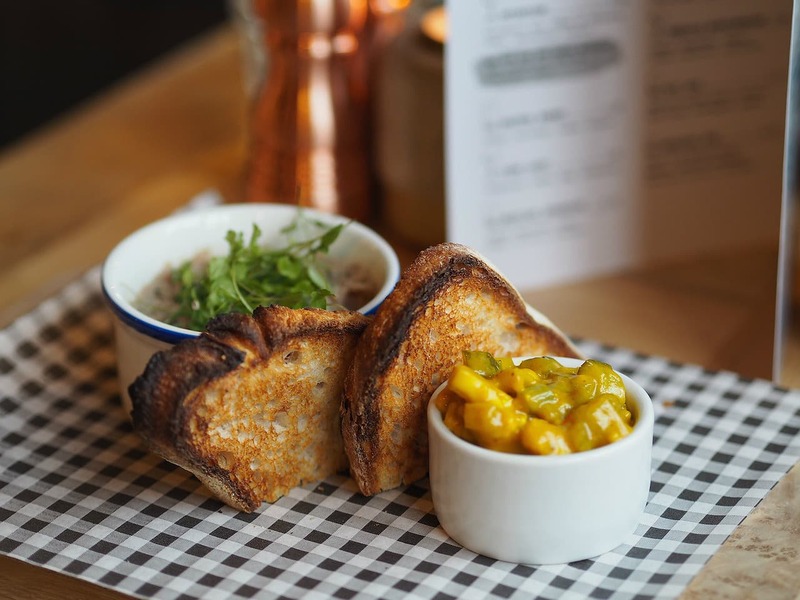 It was presented like a little picnic which I loved, with lovely toasted bread that was light and a little sweet. 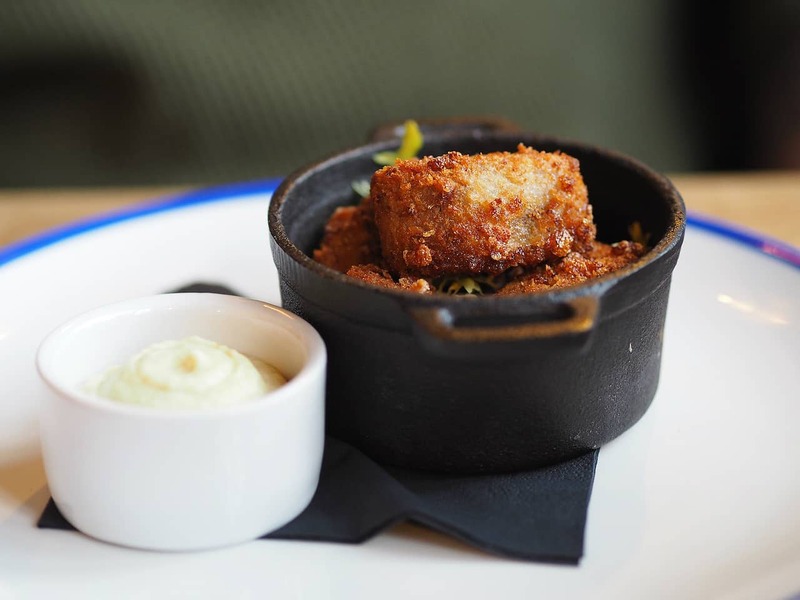 The potted duck was soft and delicate in flavour… and abundant! I was offered more toast if I needed it. The piccalilli was a good’n too, personally I really dislike the kind that are overpowered by vinegar. 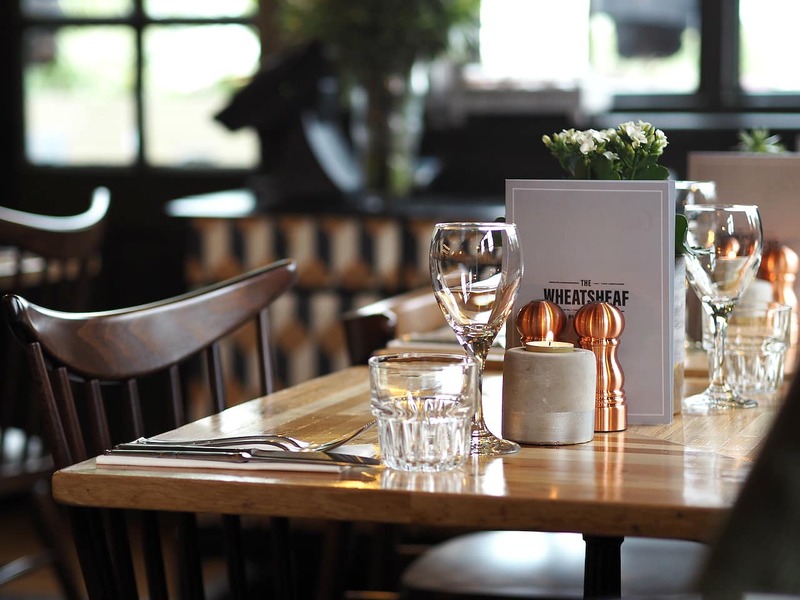 The Wheatsheaf made theirs cool, tangy and a little sweet with lovely crisp vegetables. 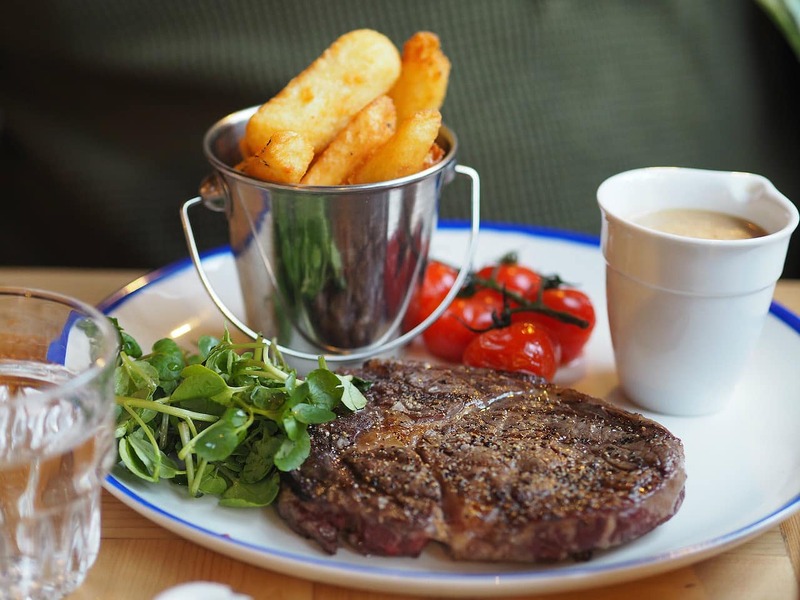 The steaks on offer are sure to satisfy all tastes with Rump, Ribeye, Sirloin, Fillet, Bone-in rib or Chateaubriand and the option to surf it with half a lobster tail or three tiger prawns. Q’s ribeye with five-peppercorn sauce was juicy and cooked to an accurate medium-rare. 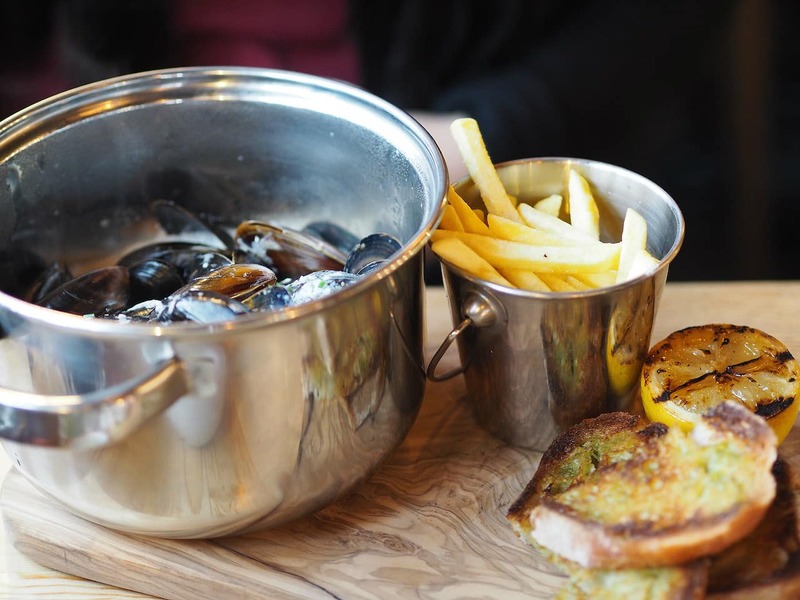 I was enticed by the specials with mussels cooked in a creamy garlic sauce with garlic bread (yeesh, sorry Q!) and fries. One again my meal was beautifully presented, with the most gorgeous looking lemon all blackened and juicy. My rustic hunks of garlic bread were great for dipping into the tasty garlic sauce. 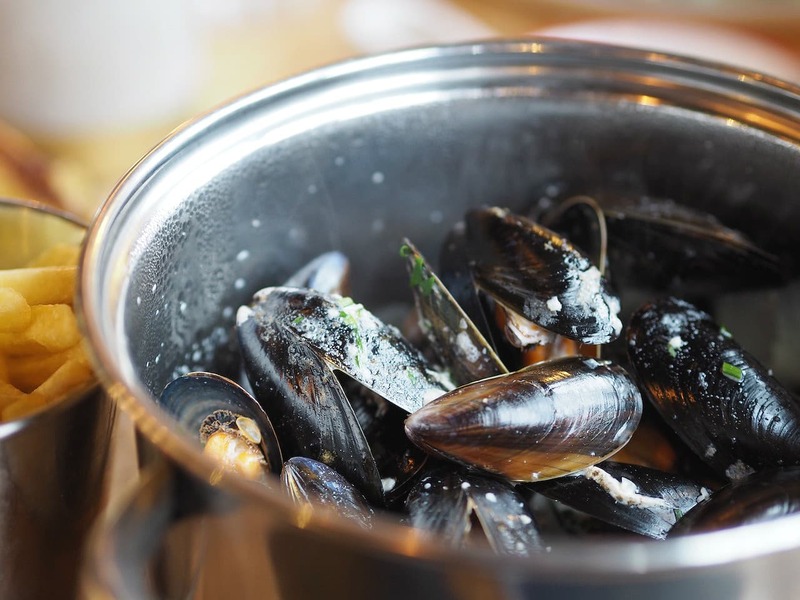 The mussels that I had were very good, although I was disappointed that such a large portion in the pot were not opened. 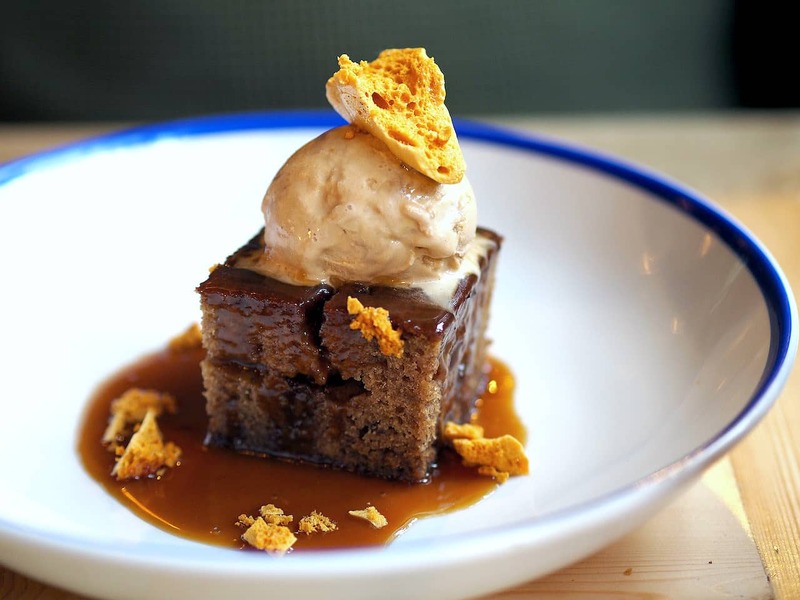 Oh sticky toffee pudding… why do I find it do hard to resist you? 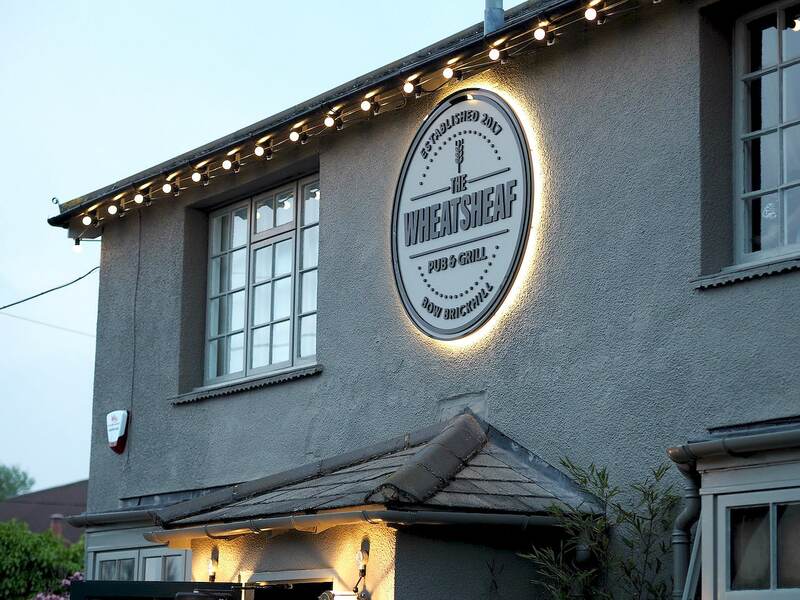 But I’m glad I couldn’t, because it turns out the Wheatsheaf make an incredible one topped with creamy, crunchy honeycomb ice cream. I love watching the ice cream melt down the pudding! When we finished dinner (and were done telling the waitress how good dessert was) we were invited on a little tour. The pub now has a private dining space which is free to hire and ideal for special occasions where you have a larger group and might fancy a bit of privacy. Plans are for this room to soon have an honesty bar set up too. We finished our evening at the bar where we were invited to try something from the cocktail menu, which I had been admiring over dinner. 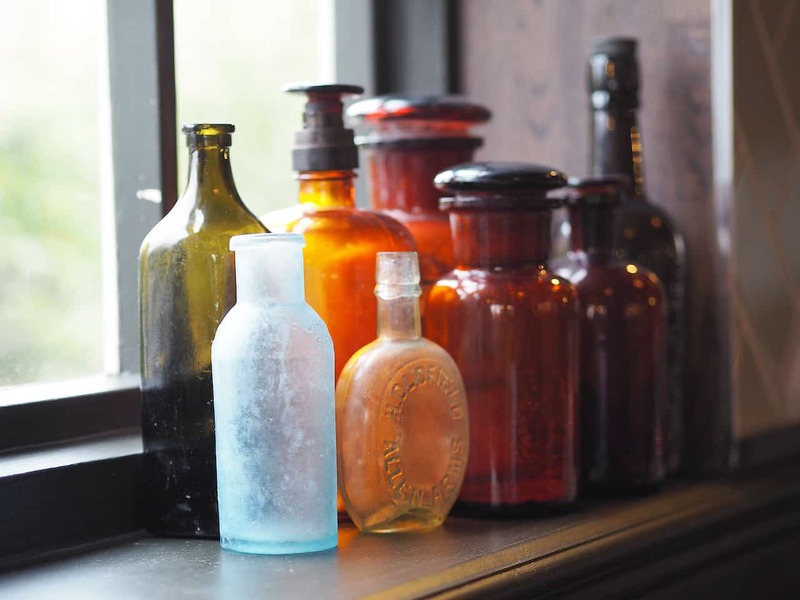 The bar has an impressive stash of gins and whiskys so if that’s your poison you’re in luck. 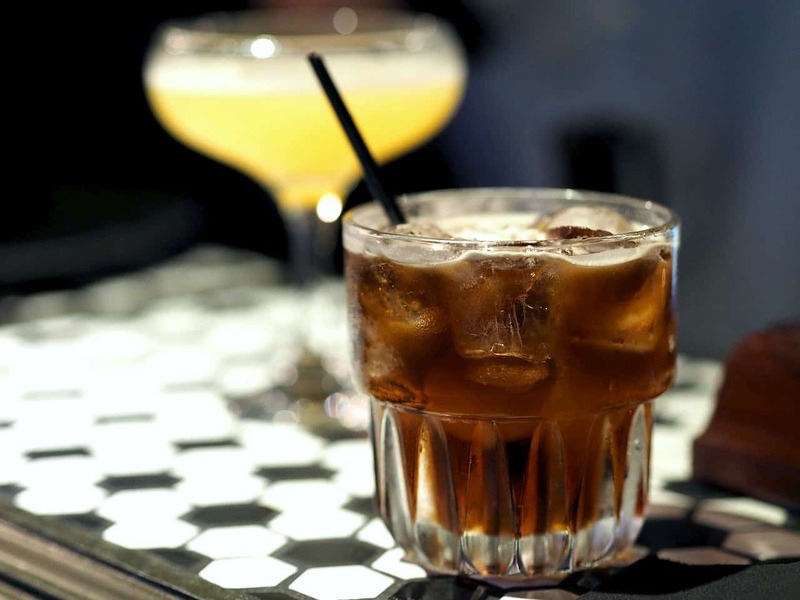 I however had my heart set on their ‘Smoking Gun’ cocktail: a rich and complex blend of oak smoked vodka, Kahlua, vanilla espresso, chocolate bitters and Guinness. Not like a cocktail I’ve had before, and like the entire cocktail menu, a welcome change from the norm. I sunk it pretty quickly taking sips and sips to pin point all the different flavours going on. 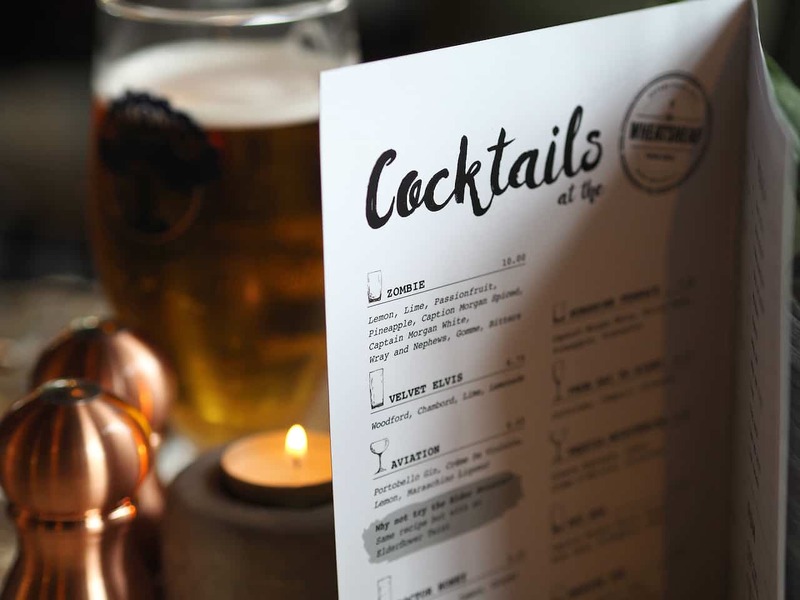 Ooh nicely done Wheatsheaf – the makeover and menu gets my approval! I really hope the long-time regulars come around to the new look soon; sure it’s more shiny and showy but the staff are friendly and the atmosphere is relaxed. New regulars are sure to be established too.